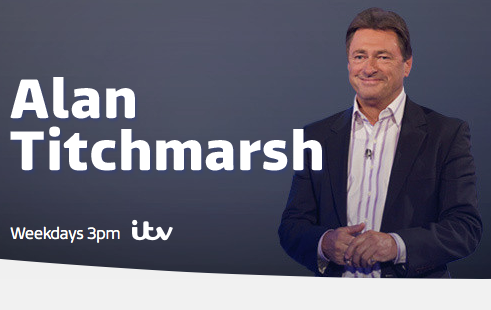 Nick Cowan was recently approached for the Alan Titchmarsh Show for a feature on back pain, and appeared on the program in March. “Dealing with back pain is something many of us will have to face. Recent NICE guidelines (National Institute for Health and Care Excellence) indicate 4 out of 5 will have back pain at some point in their lives. Thankfully, there are many positive ways of overcoming the pain and discomfort you might feel, especially if you take up a more active lifestyle. The health segment on the show, which is about the trials of dealing with back pain, was filmed recently in London and is to be broadcast on the 19th March at 3pm on ITV1. Don’t forget to follow us on Twitter other updates about what’s happening with Nick Cowan Osteopath. http://www.nickcowanosteopath.co.uk/wp-content/uploads/2014/02/Screen-Shot-2014-02-06-at-16.28.14.png 310 491 Nick http://www.nickcowanosteopath.co.uk/wp-content/uploads/2017/12/nickcowan-logo-header-1-300x93.png Nick2014-02-13 11:23:082019-02-26 14:24:03Nick Cowan on Alan Titchmarsh! “It’s time to start running” Technology- Efficient or evolutionary speed bump?